Charles Dickens’ A Christmas Carol is one of the greatest Christmas stories. It is a classic which has been adapted and changed in plenty of different forms over the years but few have done a better job than The Muppets. From the very beginning the anarchic puppets manage to sprinkle their mix of jokes, slapstick and charm all over the tale and make it their own without removing any of the elements which make it such a great story. For starters, the casting of the most important character in the whole story is done perfectly. Michael Caine is an inspired choice as Ebenezer Scrooge and he is clearly enjoying himself from the moment he appears on-screen. The whole sequence that sets his character, with him barking at the rat book-keepers, has Caine on top form and creates such an evil character in a scene that lasts ten minutes. Of course, the rest of the cast is sprinkled with Muppet charm. This movie is rare in that Kermit is nowhere near the main cast and Miss Piggy makes nothing much more than a cameo. Instead, Gonzo (as Charles Dickens) and Rizzo the Rat (as Himself) are on comedy and narration duties. They do a great job too, conveying the story with Dickens’ original text while managing to balance the humour brilliantly. That vein of humour is forever present, with that clever mix of jokes for the kids and moments for the adults which have meant the Muppets’ charm has endured for so long. From singing vegetables, Waldorf and Sadler heckling Fozzie’s Christmas speech or Miss Piggy scoffing the Christmas dinner before Kermit’s Bob Cratchet gets home from work, it all adds to a unique but very funny movie. 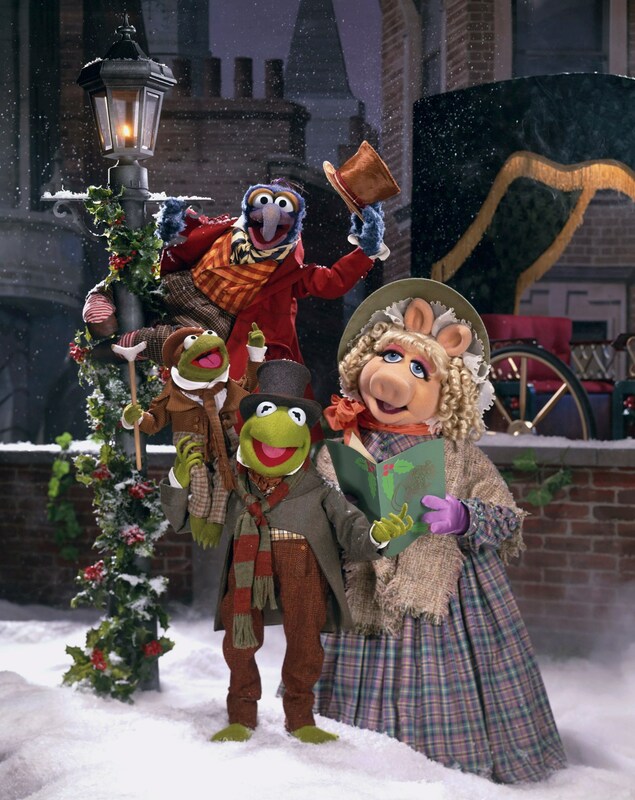 Not that The Muppets’ Christmas Carol forgets the theme of the original story. With so many different versions, it is easy to forget that the story is a sad one. Michael Caine’s Scrooge seeing the impact his measly and grumpy ways has on those around him, from his nephew to Bob Cratchet himself, is treated with the sadness it deserves and although Tiny Tim is a puppet frog, you can’t help but get a lump in your throat. The same can be said for the ending too, with the Ghost of Christmas to come being the suitably creepy Grim Reaper and Scrooge slowly realising what is in store. The mood notably changes but the quality of the film doesn’t and it’s a fine balancing act which is executed well. Luckily, it doesn’t take long for The Muppets to use a song to bring the mood back. The songs for The Muppet Christmas Carol do vary in quality, from the great introduction of Scrooge to Michael Caine trying to hold a tune himself. They do compliment the movie well and none are too long that you begin to get annoyed or frustrated by them – particularly when there is so much visual humour in the scenes too. Overall, there is a reason that this movie has become a beloved Christmas classic. It is full of the spirit and joy of Christmas while also bringing the comedy and charm that comes with a Muppet movie. Michael Caine is excellent as Ebenezer Scrooge and the rest of the puppet characters just finish the film perfectly. A must-see at Christmas. Next Next post: Which Roald Dahl books haven’t been films?